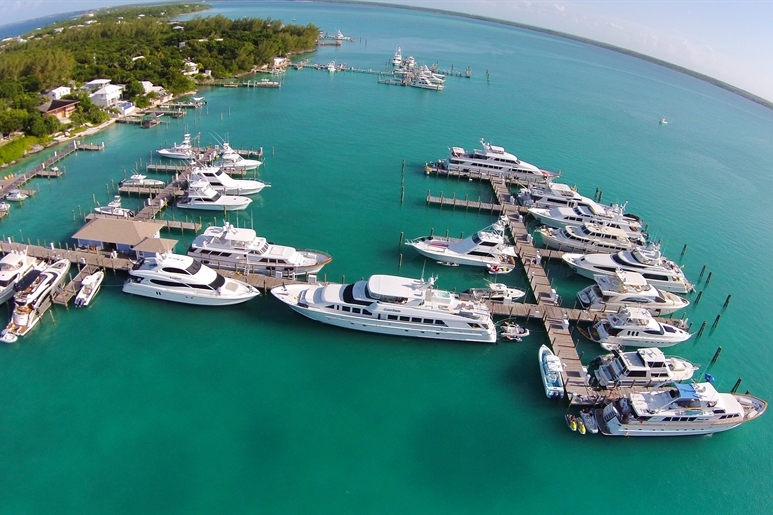 ATTN: Yacht Owners, Captains & Crew: GO TO HARBOUR ISLAND! We just spent a fantastic weekend at Romora Bay Resort & Marina and here is what you need to know! Romora Bay is fantastic! You can stay in the Marina or book a beautiful suite with the resort. The rooms are comfortable with great views and outdoor showers to rinse off in nature’s beauty. From the moment you arrive till you leave you will be greeted by name and taken care of every step of the way by the friendliest staff imaginable. If you are looking to plan a larger family gathering make sure to check out the Hadden House a beautiful 3 bedroom house with en suites in every room and well appointed kitchen for families to gather, eat and experience Harbour Island the way it’s meant to be. The property has two fantastic restaurants to choose from. Eat incredible seafood in a relaxed atmosphere by the docks or dress up and have a italian feast with white table cloths and breathtaking views at sunset. The food will not disappoint! I stuck with seafood and had some of the best cracked conch, shrimp and blackened grouper I have ever eaten. Each bite seemed to be kissed with a touch of herb butter that made every bite better. Harbour Island is a short plane ride from Ft. Lauderdale. We took Aztec airways out of Ft. Lauderdale Executive airport and you won’t find a easier way to get to the Bahamas. Just show up, show your passport and they get you to and from with quick customs check ins and you are on your way to a great weekend! Once you get to the island you must plan to spend the day on the Pink Sands Beach. Rent some chairs, relax and enjoy what was the most beautiful beach we have ever seen. We chose a spot on the beach just below our lunch spot Sip Sip. If you find yourself near this restaurant you must get the Lobster Quesadilla!! This thing is loaded with Lobster and a great item to share with your partner or table. The Pink Sands Beach is incredible! The sand is beautiful with a light shade of pink from what we were told was from broken down shells and coral from the area waters. The beach was peaceful with only a dozen chairs or so for every 100 yards of beach. This beach should be on everyone’s bucket list! While we were at Romora Bay Resort & Marina, we ran into yacht owners and crew staying there that also had nothing but great things to say about the resort. Great food, better staff and everything we need was one boat owners opinion. They do a great job every step of the way! If I have convinced you to bring your boat to Harbour Island, now here are a few reason why Romora Bay Marina is where you should be docked. Before I list all the amenities I would like to start off by saying when we travel we look for a genuine and authentic experience. As I made my rounds to other hotels/marinas on the island I found Romora Bay to be exactly what I was looking for. 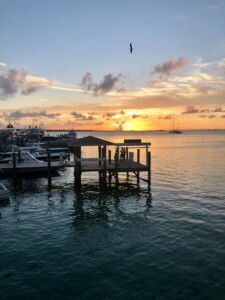 A pure taste of the Bahamas with friendly local staff, great food and just the right amount of amenities to allow me to explore the island and take in local spots for coffee, sweets and shopping. You won’t want to miss the live music on Sundays! What a great way to end a weekend at Romora Bay with a local band playing great music for a great group of people. We saw yacht owners, vacationers, locals, and yacht crew all enjoying themselves eating, drinking and dancing as the sun goes down. 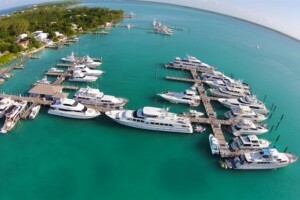 Why Bring Your Boat to Romora Bay Marina? Last but not least they appreciate Yacht crew and have a party every Friday night in season with live music and specials for boat crew to relax and enjoy a night off. 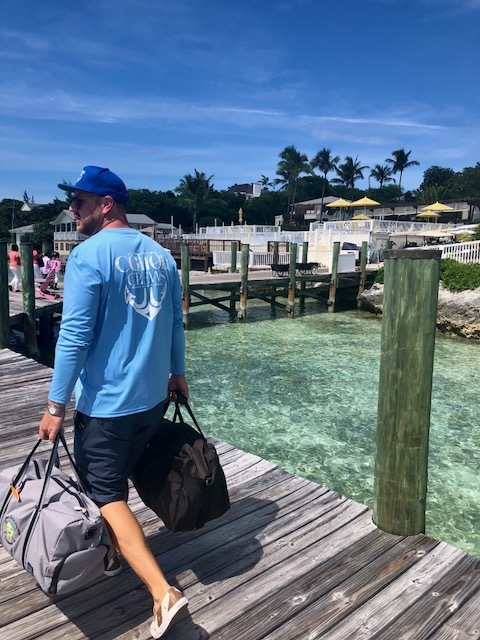 If you love beautiful scenery, blue waters, pink sands, incredible food and great service, make sure you go to Harbour Island and check out Romora Bay Resort & Marina. It is a must see destination for boat owners and vacationers!